Description: Crafty Bubbles Accessories to make body lotion, bath salts, soaps and more. 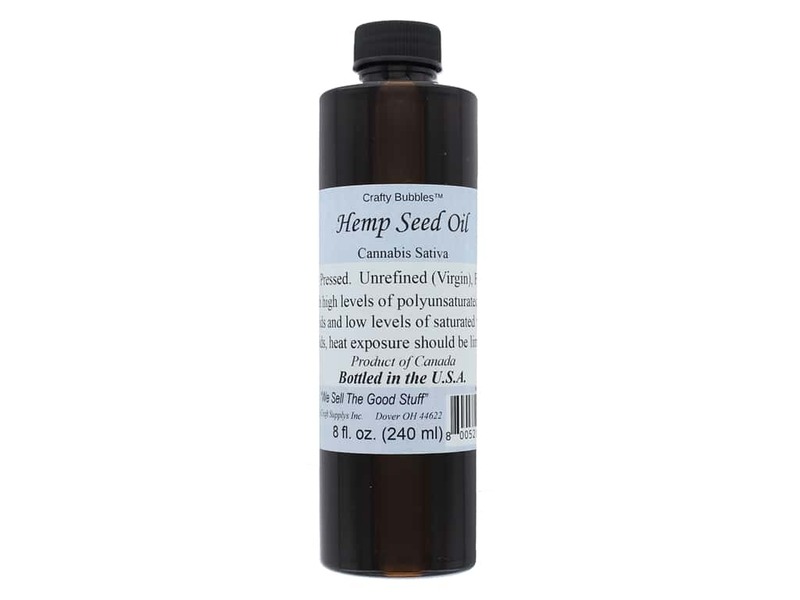 Hemp Seed Oil 8 oz- Cold pressed, unrefined, filtered, with high levels of polyunsaturated fatty acids and low levels of saturated fatty acids. Heat exposure should be limited.